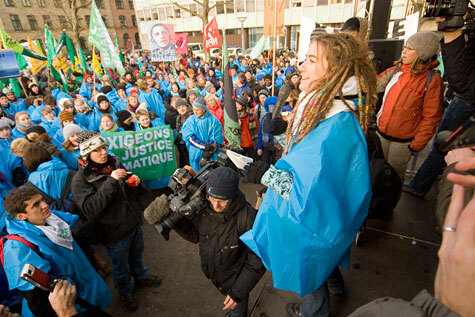 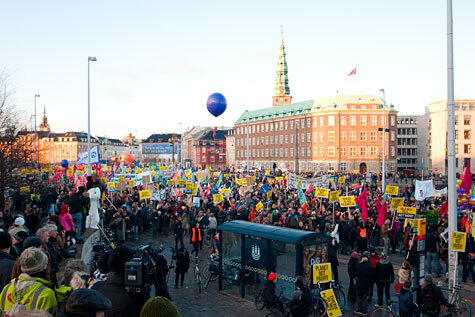 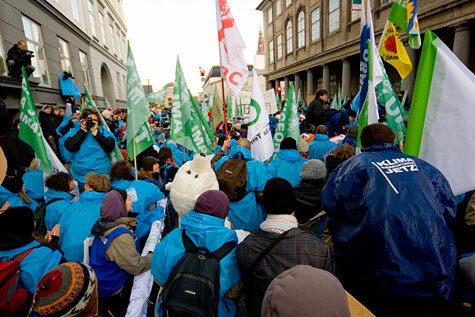 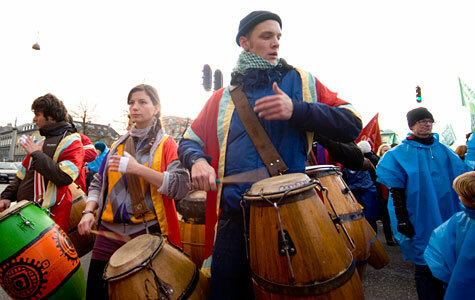 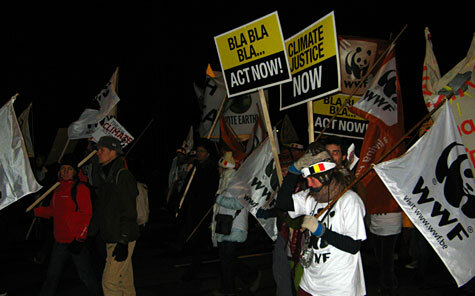 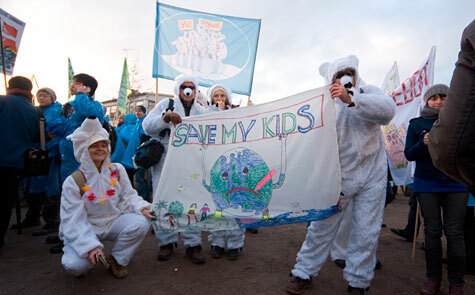 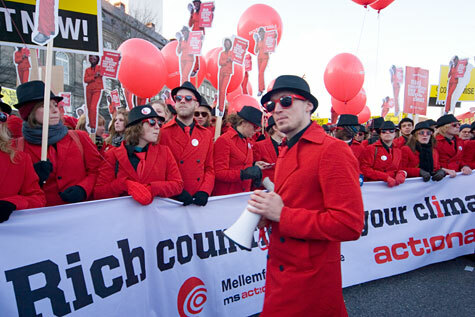 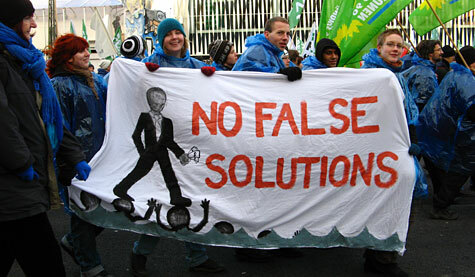 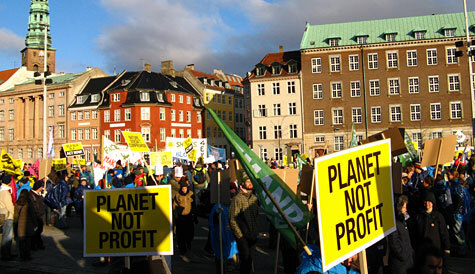 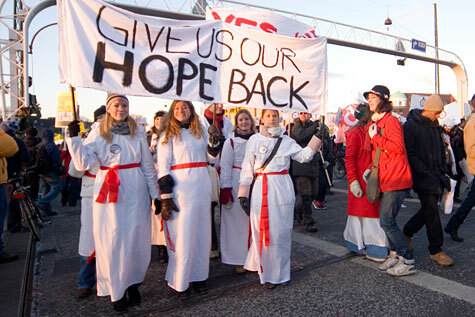 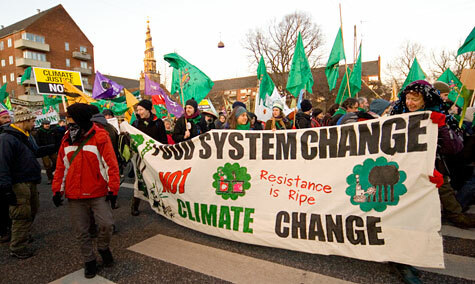 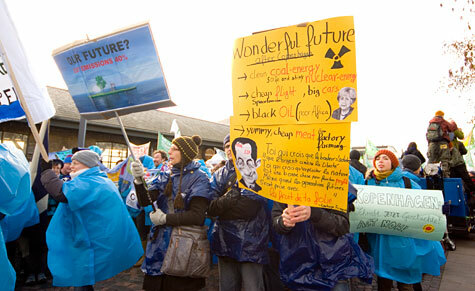 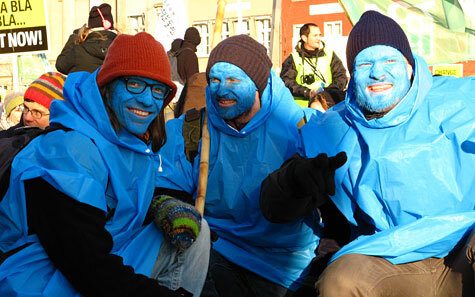 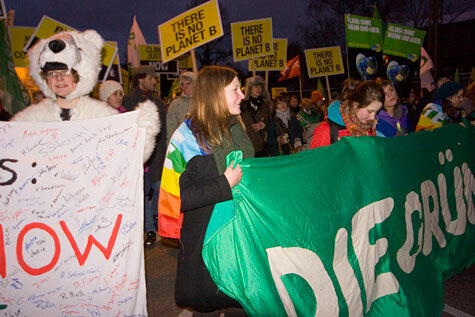 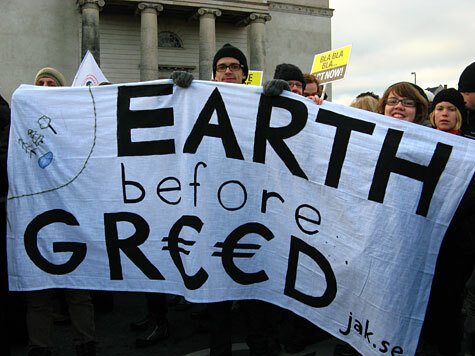 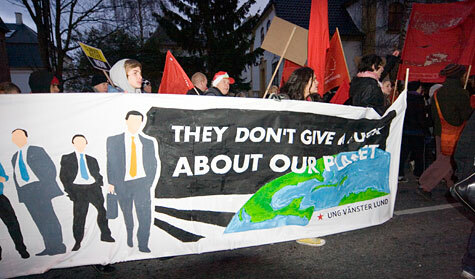 Bluepeace members joined thousands of demonstrators in the capital city of Denmark on December 12, calling on world leaders to agree on a meaningful treaty in the United Nations Conference on Climate Change (COP15). 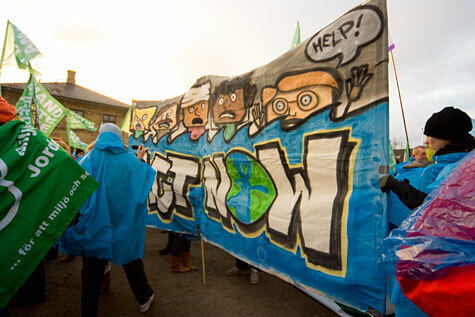 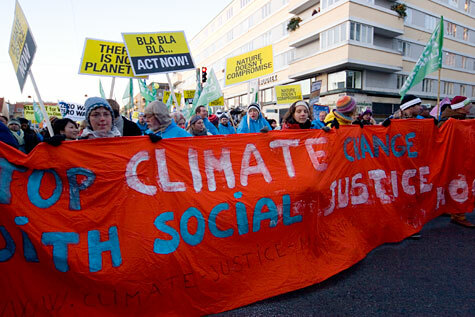 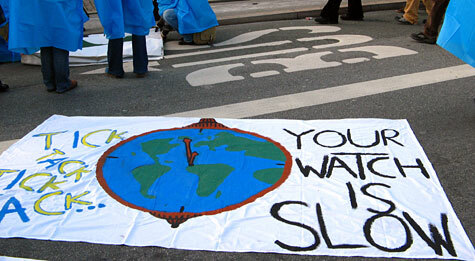 The first march of the day was organized by Friends of the Earth International and their event Flood for Climate Justice attracted thousands. 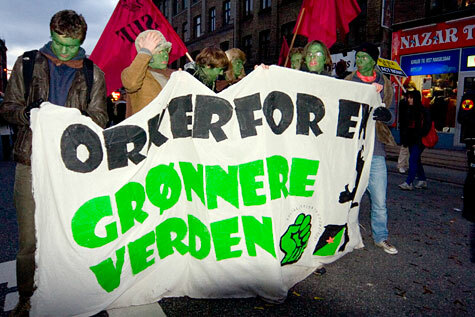 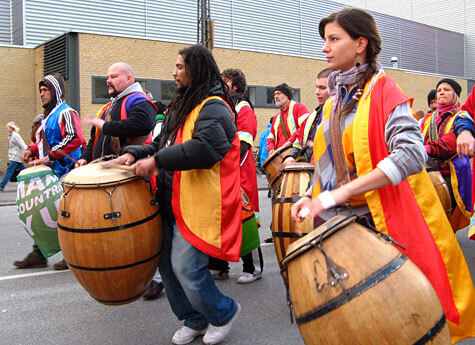 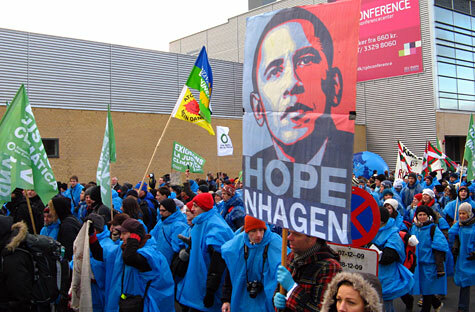 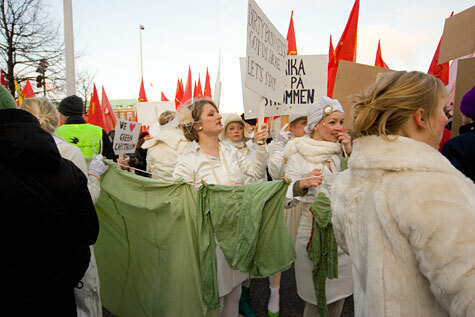 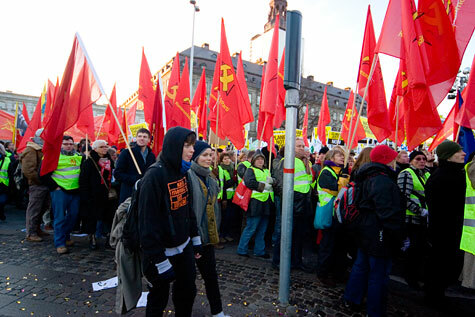 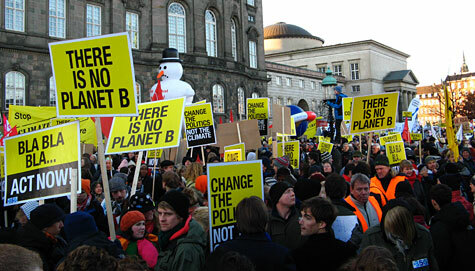 Later in the day, an estimated 100,000 people marched to Bella Center in Copenhagen.